After Joe Burrow transferred from Ohio State to LSU leaving redshirt sophomore Dwayne Haskins as the Buckeyes’ default starting quarterback, talk of OSU’s quarterback competition died down. Buckeye Nation finally knew who their new starting quarterback was going to be after four years of seeing J.T. Barrett behind center. But that quarterback battle was only settled for one player, the starter. For the players behind Haskins on the depth chart, there is still an every-day quarterback competition. 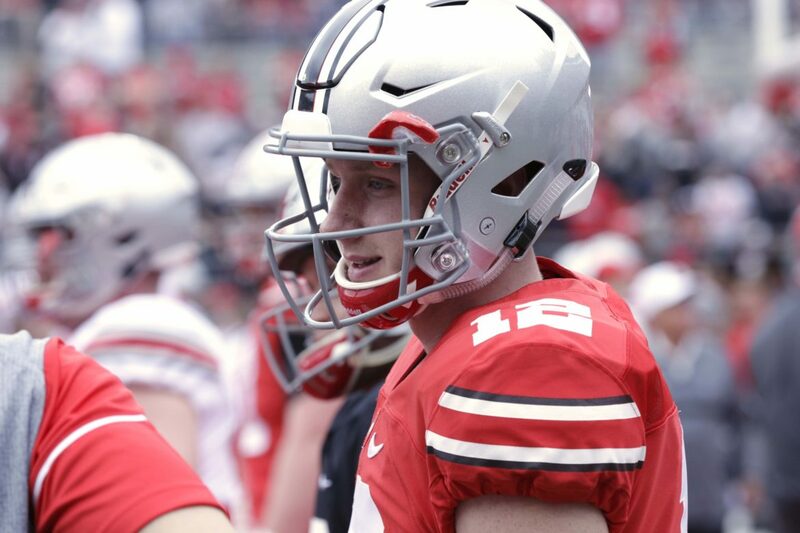 Burrow’s transfer still leaves redshirt freshman Tate Martell, true freshman Matthew Baldwin, and redshirt freshman walk-on Kory Curtis behind Haskins at quarterback on the roster. Martell competed with Burrow and Haskins in the spring and will continue to compete in the fall. Baldwin, however, was recovering from an ACL tear this spring, so his competition will have to wait. Despite his early challenges, Baldwin is ready to compete for a role when the time comes. Even though he understands the challenge ahead, the quarterback competition is part of the reason that he came to play for the Buckeyes. Baldwin is excited to, once again, be around guys who are going to push him to be better. After experiencing the same thing at his high school – where he didn’t start until his senior season, constant competition is nothing new to him. Baldwin comes from Lake Travis High School in the heart of Texas. Lake Travis has a rich history of quarterbacks, having produced some very talented college QBs over the years. Many high school quarterbacks with college football aspirations would have transferred out rather than wait until their senior season to get their first taste as a starter. Baldwin stuck it out, however, because he knew Lake Travis would get the best out of him. That experience of patience combined with competition helped get Baldwin ready for what he was going to face once he got to Ohio State. Everything at Ohio State is going to be a challenge for him, especially while working his way back from a knee injury. But Baldwin understands that the challenge is what will make him better. Now that Baldwin is at Ohio State, he is prepared for the development and coaching that will help him reach the level he wants to get to. That level, of course, being the eventual starting quarterback at Ohio State. Due to his knee injury, Matthew Baldwin may not be ready to go on day one, and the Buckeyes shouldn’t need him to be. In fact, it may be a while before he is ready to compete and contribute, but that’s never going to stop his progression. “Default starting QB?” Smh. Give the man his due. These comments belong in the 1970’s if you catch my drift.